We think Zootopia was awesome and will surely scoop up next year's Academy Award for BEST animated film. Don't believe us? Disney you had me at ZOO! Anyone who knows me (dear readers that’s you!) knows that I love animals. The only thing I love better than animals is animated movies about animals. I set my standards high and by high I mean Madagascar high. I was pretty skeptical when I heard that Disney was coming out with a new animal centered adventure. The Wild which came out in 2006 was not up to my normal Disney expectations. It wanted to be Madagascar too badly but without King Julien on board there was no hope! 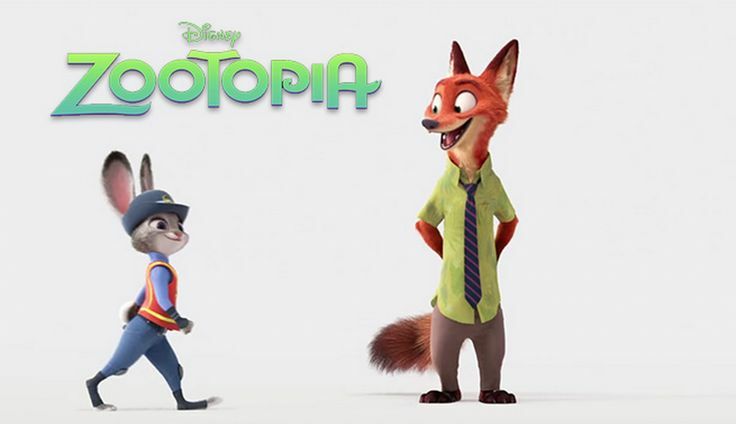 Zootopia on the other hand is a rock solid hit! Zootopia has everything! Adventure, kool animation, likable heroes and despicable villains. There are bullies which pick terribly on the cute rabbit Judy Hopps and inter species discord reminiscent of human racism. Older kids will get the references but they will go right over the heads of the younger kids (so don't be hesitant to bring them). This is an entertaining movie which touches upon some serious themes in a manner appropriate for all ages. Everyone will take a ton of enjoyment and a little enlightenment home from it. 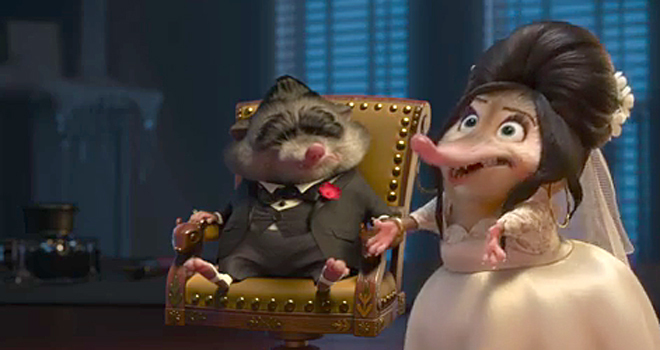 Zootopia even has its own Godfather Mole. What more can you ask for? Two bunny ears and a fox tail up for Zootopia!